Rabbi Garfinkel grew up in Miami Beach within a family of educators. Rabbi Garfinkel received Rabbinic ordination from the Rabbinical College of America. Rabbi Garfinkel has been teaching at the Lubavitch Educational Center for six years where his mission has always been to instill a love for Torah and for learning. It is within those short years that his community service campaigns as well as Mitzvah projects took off gaining much praise and accolades from various institutions and the wider public. His unique ability is to intertwine a disciplined approach in a fun and enjoyable environment. 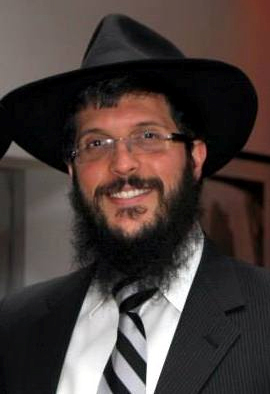 Just two years ago (and only five years into teaching), Rabbi Garfinkel was honored with the Educator of the Year Award at the Florida Friends of Lubavitch annual dinner. Presently, Rabbi Garfinkel is in his 7th year of teaching. He also serves as the Hebrew Studies Program Director for elementary and middle school grades, organizing exciting and inspiring programs for every Jewish holiday with ongoing mitzvah campaigns. He has plenty of experience with children of all ages. He is a strong believer that children hold tremendous power that simply needs to be channeled in the right direction in order for them to truly shine. Through a curriculum and fun based Shabbat program, as well other holiday and seasonal events, Rabbi Garfinkel is ready to bring an exciting new passion for Torah and Mitzvot to Beth Israel Congregation's youth. Rabbi Garfinkel joins us, together with his wife Brachie, and 4 children, Menachem Mendel, Lieba Leah, Mordechai Simcha and Chaya Mushka.